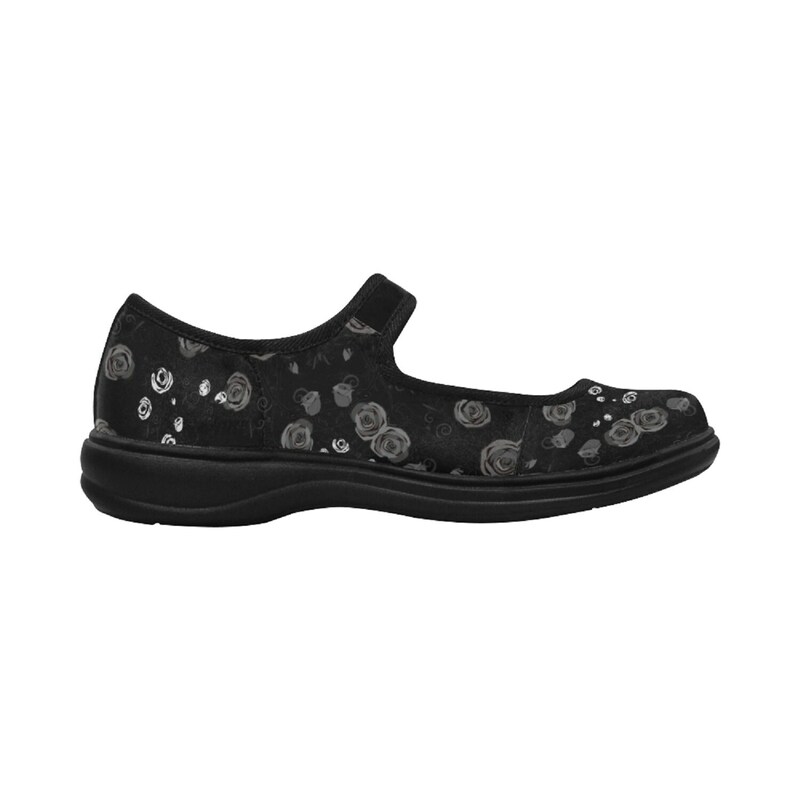 Black casual women's shoes with white roses print. • 18.10 Oz. Designed for fashion women, stylish and personalized. 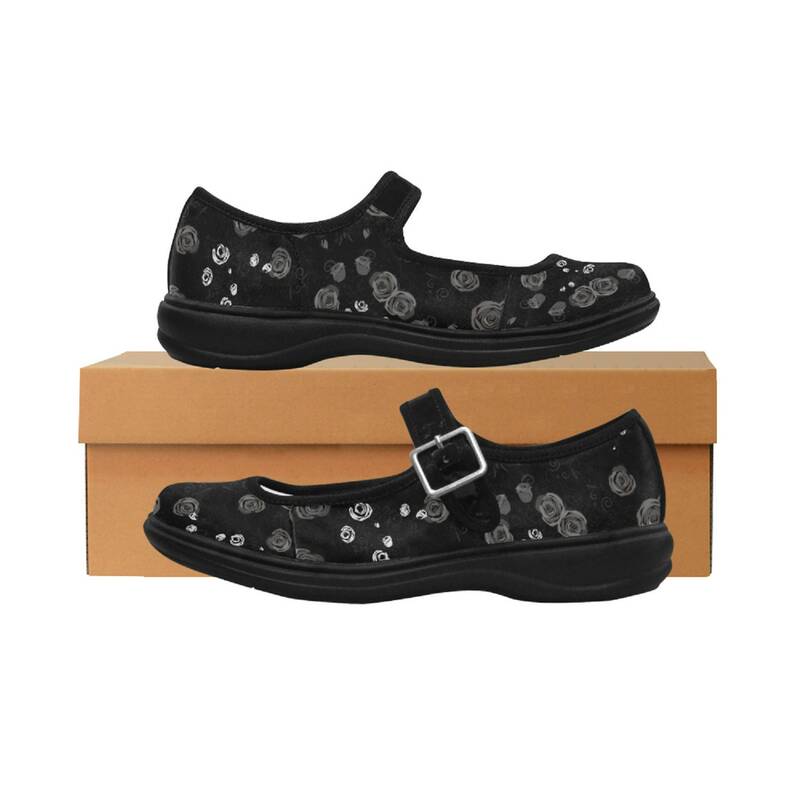 • Made from satin fabric, unbelievably lightweight, soft and anti-wrinkle. • PU outsole, lightweight, sturdy enough to withstand daily wear and tear. 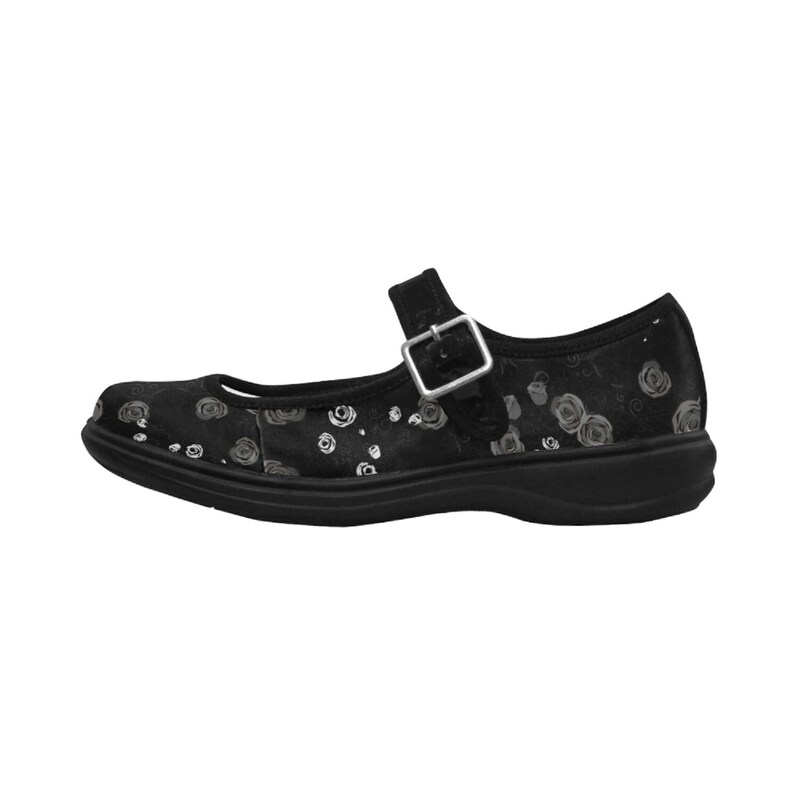 • Microfiber ankle strap with metal buckle for an comfortable and adjustable fit.